I’m a Pianist, Composer and Music Educator currently based out of Seattle. Originally from Michigan, I began playing music professionally around the Detroit area at age 15. I’ve been fascinated by all things musical for as long as I can remember and have forayed into performing and composing in many genres, with a particular emphasis on jazz and improvisation. After high school I continued my musical journey and began studying jazz piano performance at the University of Michigan. It was during my time there that I discovered my passion for teaching and collaborating with students. For me, teaching is about developing a personal relationship between student and teacher so that we can both learn from each other. In doing so, I can tailor my teaching style to each student’s individual needs and wants, and we can both have fun exploring and creating music together. 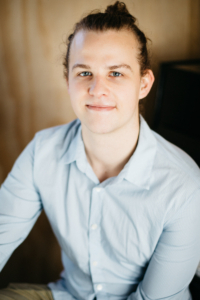 Josh is available & qualified for all types of piano instruction. He also has a specialization in jazz piano. So, if you’re looking for jazz piano lessons, give us shout!